The author’s daughter queued up for an emergency-lane-change exercise at the Autobahn Country Club in Joliet, IL. Like most parents, my wife and I are always looking for ways to give our daughter a leg up in life. We closely monitor and support her scholastic, athletic, and volunteer endeavors, we’re openly concerned about her general health and welfare, and we make a point of finding time to chat with the kid about life in general. My daughter would tell you that we’re pests, but she knows our hearts are in the right place. So, when my daughter began driving this past spring, it occurred to me that there must be more we could do to keep her safe. Sure, she’s a careful driver, and her car is in good condition, but what, I asked myself, does she really know about driving? Will the first time she ever slams hard on the brakes be when she is in danger of hitting some clown that just cut her off? Will the first time she ever has to suddenly crank the steering wheel be the time she has to avoid a child that just wandered into the street? Will the first time she loses traction on ice or snow be the time she needs to avoid sliding into a busy intersection? The Autobahn is located in Joliet, IL, about 90 minutes from Chicago. Questions like these fuel the nightmares of the parents of driving-age teens. And, having gone through driver’s education ourselves, we know that learning the rules of the road can only take a new driver so far when it comes to dealing with real-world perils behind the wheel. 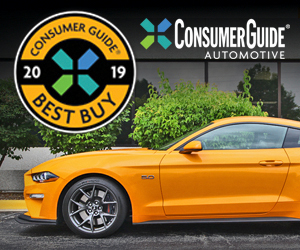 Fortunately, there are programs that will give your young driver the opportunity to experience firsthand how a vehicle handles in extreme circumstances—and help them learn how to deal with those situations. 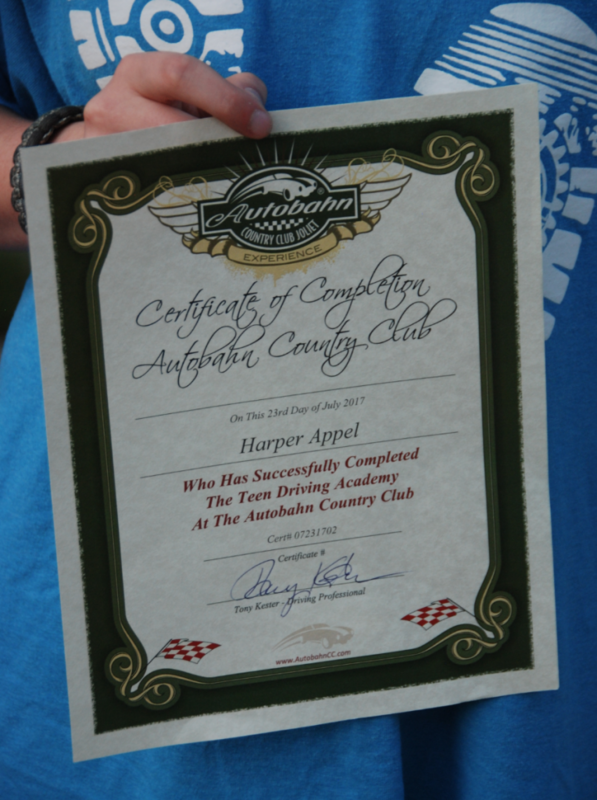 One such program is the Teen Driver Safety Training course offered by the Autobahn Country Club in Joliet, Illinois. The Autobahn is a private club and racetrack catering to enthusiast drivers. Having toured the facilities and driven the track myself on various media events, I have added an Autobahn membership to the short list of things I would be spending money on were my kid not hell-bent on attending college. 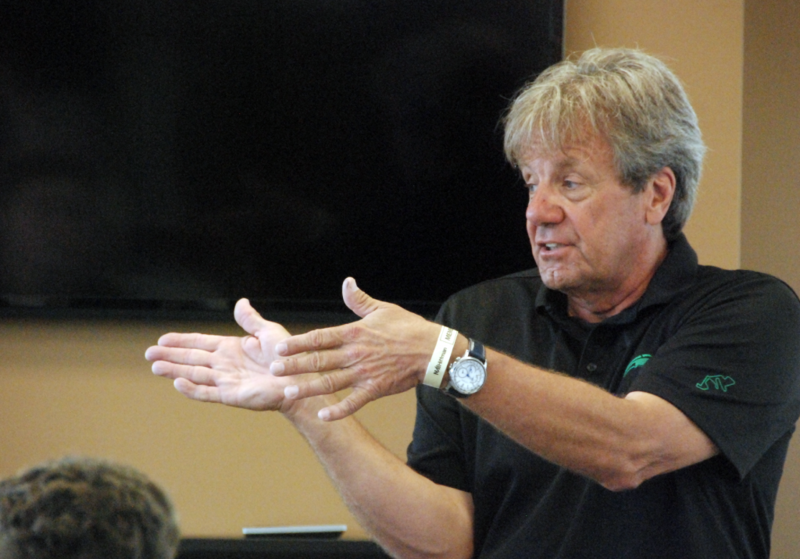 Club member Tony Kester, who has been a driving instructor since 1992 and has worked with the Autobahn since 2008, developed the hands-on teen-driving course offered at the Autobahn. Tony’s classroom style is casual, and his general demeanor honest and self-effacing, but his message is very serious: You need to understand how a vehicle handles when things go wrong. Course instructor Tony Kester is serious about teen driving safety, but approaches the topic with a friendly, accessible style. Tony recounts in humorous detail his own youthful mistakes behind the wheel, and admits that, like most teens, he made plenty of bad decisions as a greenhorn driver. That said, Tony is now a professional driver, and he makes easy work of explaining the dynamic forces at work when a vehicle is asked to stop, go, and turn. The Autobahn course is a full-day event, and includes breakfast and lunch–both of which were far better than one might expect at a racetrack. The course opens with a classroom session, during which the day’s schedule is described and basic laws of motoring physics are addressed. Tony does a nice job of avoiding car-guy jargon; he eschews technical terms such as oversteer and understeer, sticking instead with plain language and useful whiteboard sketches. By mid-morning, the teens are ushered to the first of four “stations” which constitute the hands-on portion of the course. The driving exercises are conducted in new BMW cars and crossovers, all of which have been donated by the manufacturer for use in driver-safety programs. Left or right directional arrows illuminate suddenly below the traffic light, prompting drivers to quickly and decisively steer in the indicated direction to avoid an imaginary obstacle. This was the first of the hands-on exercises my daughter engaged in. It was simple in concept, but difficult to execute correctly at first. Students were instructed to accelerate at full throttle toward a traffic light. After having reached a line marked by traffic cones, an arrow indicator would appear directing the driver either left or right. This maneuver had to be completed without hitting strategically arranged cones in front of, and to the sides of, the accelerating vehicle. BMW 3-Series sedans were used for this exercise. It was while watching this exercise that the value of the teen-driving program became clear to me. The students began these runs hesitantly, often braking too soon, and turning too tentatively. As the students repeated the maneuver, a clear surge in driver confidence was visible, with actions being taken with increasing decisiveness and crispness. It would be impossible to calculate the amount of confidence each driver gained by repeating this process some 40-50 times. To avoid “killing Kenny,” teen drivers are expected to control a skidding vehicle and maneuver it through a corner. In this exercise, students learn how to control a car on a slick surface. Early runs involve only hard braking on wet tarmac, but as the teens acquaint themselves with the feel and operation of anti-lock brakes (ABS), they are asked to maneuver the skidding vehicle to avoid “killing Kenny.” Kenny, in this case, being an orange cone placed directly in the path of the car. For this exercise, students were provided with BMW X1 small crossovers, all of which were equipped with all-wheel drive. Also on hand was a BMW i3 electric car, a rear-drive vehicle with considerable torque that is more apt to break sideways in a skid than might the small crossovers. My daughter found sliding sideways in the i3 to be the highlight of her day. Driving a vehicle equipped with a traction-robbing device, teen drivers are taught to handle a vehicle in extremely low-traction conditions. To simulate the experience of driving on snow and/or ice, the Autobahn rigs one of the X1 crossovers with a device known as a Drift Lift. Attached to the rear wheels, the Drift Lift assumes most of the weight normally handled by the tires, thus reducing a significant amount of available traction. The result is a vehicle that readily slides sideways, even during slow, gentle cornering. Students quickly learn how to correct a skid, as well as how to corner in extremely low-traction situations. The curvy course is meant to be challenging, and demands care and concentration to be successfully navigated. At several points during the exercise, students are instructed to apply enough throttle prior to cornering to induce a spin—and are subsequently instructed how to calmly regain control of the vehicle. Autobahn Country Club member Bill Wittkamper walks teen drivers through the fundamentals of checking tire pressure, changing a flat tire, and jump-starting a vehicle. Not all of the hands-on course activity takes place behind the wheel. For an hour, teen drivers learn a few maintenance and emergency basics, including how to check tire pressure, change a tire, and jump-start a car. It is this author’s recommendation that, even after attending a course of this nature, parents walk their teens through these processes on their own vehicles. 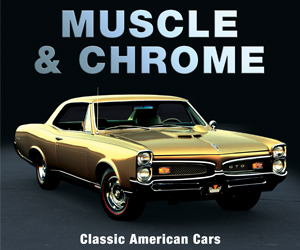 As noted in the course, each vehicle has specific features that can complicate tire changing and jump starting. Be sure to make time to go through these procedures with your kid before you have to walk him or her through them over the phone. One noteworthy aspect of the course is the no-parents rule. Adults attending the class with their kids enjoy meals with their offspring, but may not stick around during the classroom or driving portions of the event. 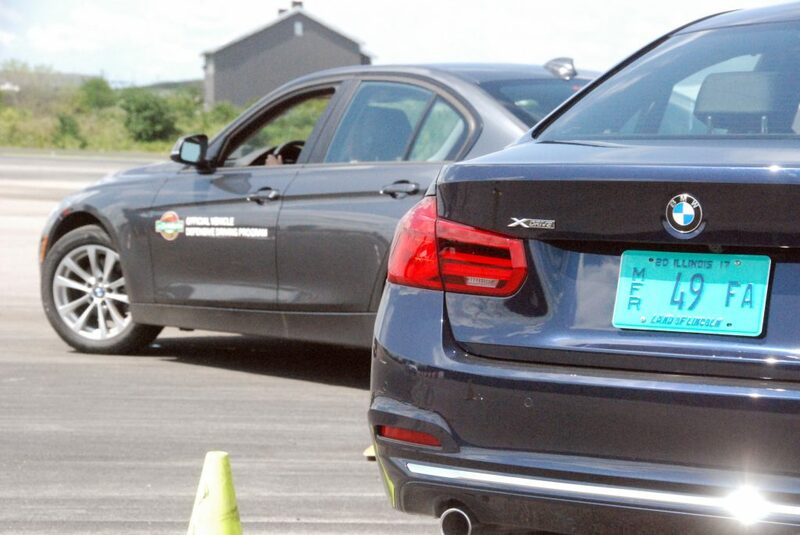 All the vehicles used for this teen-driving program were donated by BMW– a fact which may help induce young driving enthusiasts to consider signing up. This, per Tony Kester, allows teens to be more honest about their driving fears and mistakes during classroom discussion, and prevents parents from “coaching” their kids during the in-car sessions. 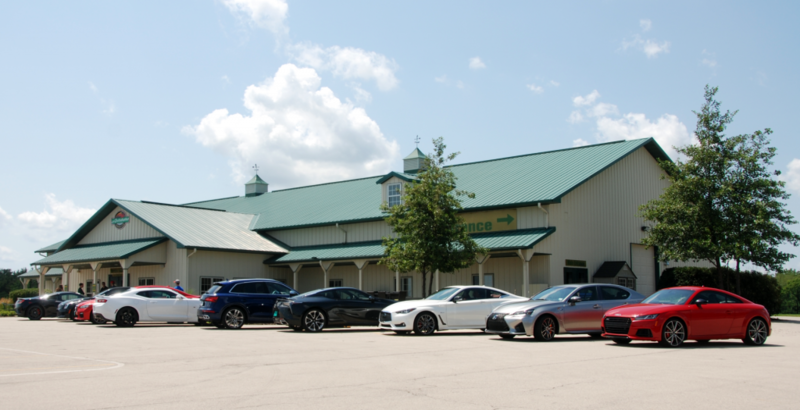 Instead, parents are treated to a tour of the Autobahn country club as well as time performing the same driving exercises their kids will be engaged in. The Autobahn’s teen-driving course is not cheap, but at $389, it provides affordable piece of mind. Additionally, many insurance companies provide discounts for covered teens that complete the course. My family’s vehicles are insured through Allstate, Which, bafflingly, does not offer premium reductions for hands-on safety course, preferring online programs instead. 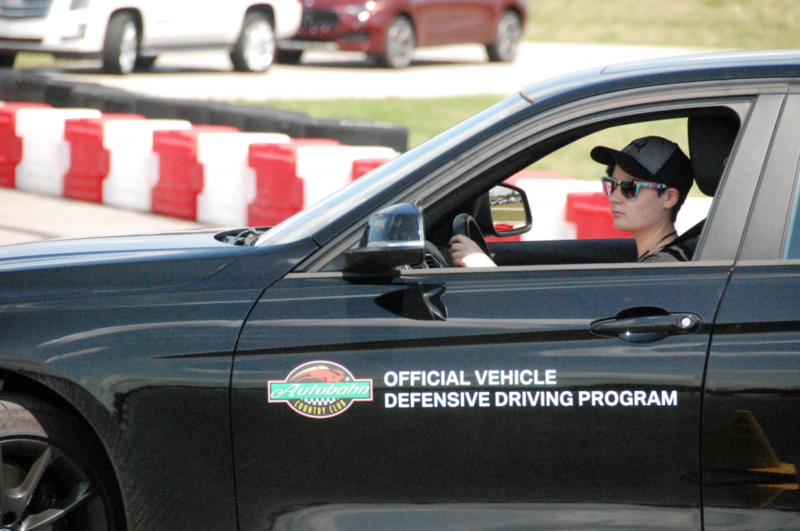 A modified version of the course is available for adult drivers, and is even employed to enhance the driving skills of area law-enforcement officers. The course is offered monthly, and fills up quickly in summer months. While most of the attendees at the session my daughter attended were from the Chicago area, teens from Wisconsin and Indiana also made the trip. A certificate worthy of framing is nice, but saving money on car insurance is better. Consult your auto-policy carrier regarding potential coverage discounts available for teens who have completed a course of this type. Having witnessed firsthand the improvement in vehicle handling that came as a result of the hands-on training these teens enjoyed, I cannot recommend this course–or one like it–strongly enough. I do not doubt that my daughter became a better, safer, more confident driver as a result of her time at the Autobahn. My determinedly stoic daughter–who hasn’t shown visible excitement for anything other than Korean zombie films in more than two years–refused to admit she enjoyed the course, though she hesitantly admitted that the low-traction braking exercise was fun–especially in the i3. And my kid is right. Learning about the laws that govern our roads is fine, but no rule or ordinance can help you when you lose traction in heavy traffic. Equipping your teen with the knowledge and experience to respond appropriately when driving conditions turn ugly is the kind of leg up we all want to give our kids. And if you’re not located within a few hours of the Autobahn Country Club, call your auto-insurance provider for a list of approved hands-on teen-driving courses near you. The learn more about the Autobahn and their defensive-driving programs, click here. incorrectly stated that the insurer did offer a discount. We regret the error. Written by: Tom Appel on July 25, 2017.on January 10, 2018.